One of the benefits of shopping at Anglia Tool Centre is the depth of choice on offer when picking your next power tool. Corded or cordless is one of the first questions customers have. When it comes to jigsaws, the second question is often top handle jigsaw or body grip jigsaw. Both types of jigsaw have their benefits and drawbacks. Here we take a look at them to help determine which type best suits your needs. Jigsaws with a top handle are the most common type. This may be, in part, due to the fact they are more comfortable to hold than their body grip equivalents. Their slim grip and ergonomic design tend to appeal, particularly to DIYers. 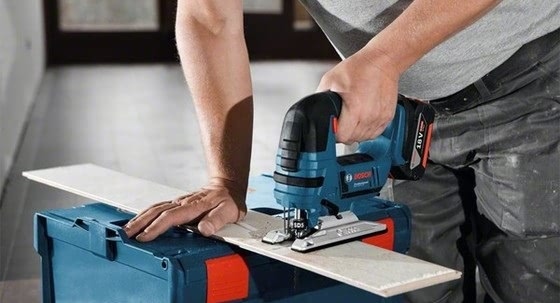 Cutting thicker materials is easier with the top handle jigsaw as your hand will be positioned above rather than behind the motor. 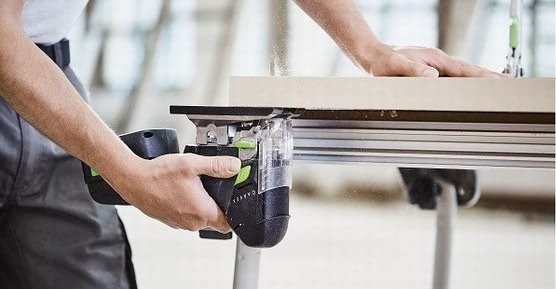 While one-handed operation is the norm with these jigsaws, some are designed with an additional knob at the front to enable you to use both hands during use. This allows for more control. One negative of the top handle jigsaw, however, is visibility or lack thereof. With the handle being further away from the workpiece the cutting line is harder to see. Therefore, this can make cutting tight curves more difficult. It is immediately noticeable with a body grip jigsaw that the handle is tied in with the motor housing system. This is arguably more convenient for changing settings etc. Greater accuracy is the main benefit provided by a body grip jigsaw. This is a result of the lower centre of gravity due to the placement of the handle. Guiding from behind rather than above makes following the cutting line easier. This stability is further aided by the fact most body grip jigaws boast two-handed control. While the motor housing acting as the handle of the tool brings many positives, it also means the body grip can get hot. This is worth bearing in mind should you plan to use the tool a lot. Taking into account the above, you should have a better idea as to which jigsaw would be preferable for you. For precise and intricate tasks we would recommend the body grip jigsaw. On the other hand, a top handle jigsaw is ideal for more simple applications. Both are, of course, versatile enough to be used for all manner of cutting and trimming work, but are more likely to excel at the aforementioned. Furthermore, you should also consider the size of your hands when choosing between them. The wider your hands, the more suited you are to a body grip jigsaw as they generally have a larger circumference. Whether you’re a professional tradesperson, DIY enthusiast or work purely in woodworking we have a jigsaw for you. While the above can give you more of an understanding on the subtle differences between our jigsaws, ultimately the choice is yours. Thankfully for you, you can get the right feel for which type of jigsaw you prefer by visiting one of our showrooms. 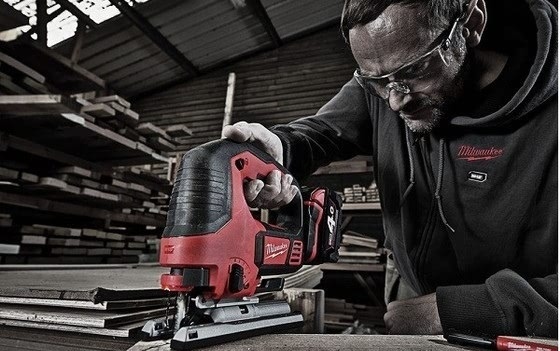 Take in a live demonstration or test out our power tools for yourself. 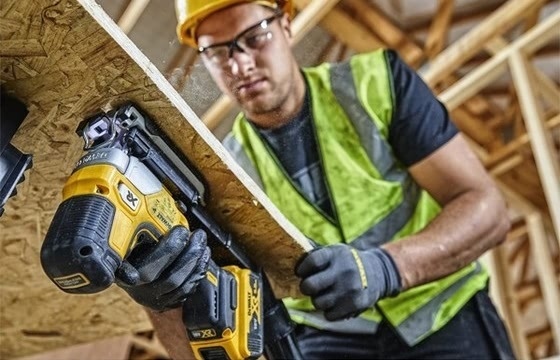 Alternatively, if you’re already set on your choice, order your corded or cordless jigsaw before 17.30 for next working day delivery.